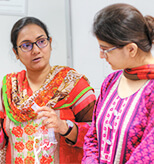 AKU is “an innovator” and “a nationwide role model for high-quality tertiary education and medical care” in Pakistan. Alumni earn more because of the education they receive, create jobs and send money home from abroad. AKU's operations and purchasing generate jobs for people and revenues for businesses. AKU's health system treats 1.3 million patients annually, helping them stay economically productive. Every Rs 1 of its direct gross value added generates Rs 7.3 in economic benefits. The University is a pioneer and role model. Its innovations, pursuit of excellence and support for gender and social equity positively impact society at large. AKU’s leadership has helped to improve the quality of health care, health education and primary and secondary education. 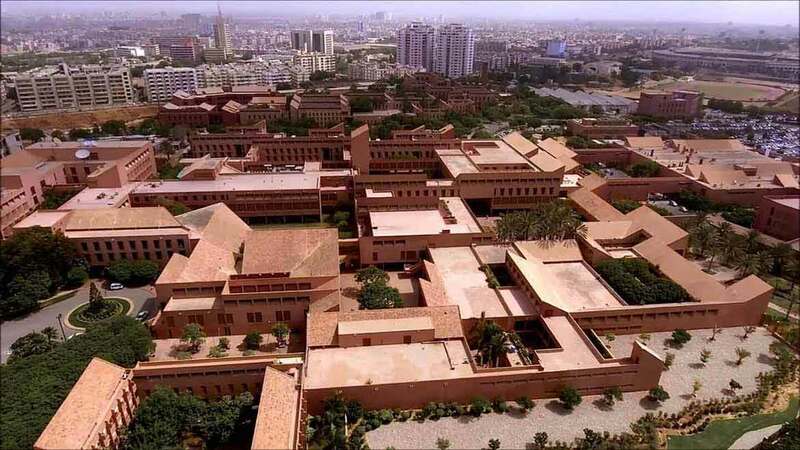 The Aga Khan University Hospital becomes the first in Pakistan to meet the rigorous quality standards of the U.S.-based Joint Commission International (JCI). Seeing a local institution achieve international accreditation inspires other hospitals to follow AKU’s lead. AKU shares its experiences and advice for pursuing JCI accreditation with staff from other hospitals. Other hospitals in Pakistan are pursuing JCI accreditation, and one achieved it in 2017.
creating career opportunities for countless women. AKU’s research generates knowledge that can be accessed by anyone and used to address critical problems. *According to the Pakistan Council for Science and Technology. AKU helps government to better serve the people of Pakistan. AKU provides assistance in developing public policy. 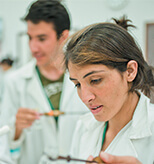 AKU provides advice on improving education and health. AKU helps fill the gap when crises stretch public capacities. AKU accepts students based on merit, not ability to pay. * Financial assistance covers 73% of tuition costs on average. Students paying no tuition agree to work at AKU for the same length of time as the duration of their studies and are paid market salaries. * Financial assistance covers 73% of tuition costs on average. Students paying no tuition agree to work at AKU for the same length of time as the duration of their studies and are paid market salaries. 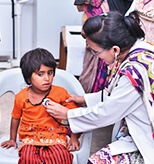 low-income patients were able to access high-quality health care at AKU facilities in 2015 thanks to financial support from the University and donors.low-income patients were able to access high-quality health care at AKU facilities in 2015 thanks to financial support from the University and donors. 1983 1st private university, a milestone that took years of dedicated efforts. 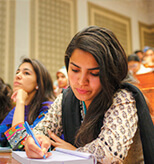 Today there are 75 private universities in Pakistan. 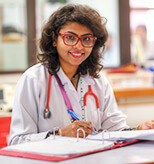 1988 1st to offer a Post-RN Bachelor of Science in Nursing. 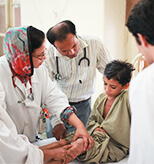 1993 1st organized Family Medicine residency training programme. 1993 1st private university to launch an Institute for Educational Development. 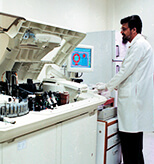 1997 1st to offer a four-year Bachelor of Science in Nursing. 2000 1st organized Emergency Medicine residency training programme. 2001 1st to offer a Master of Science in Nursing. 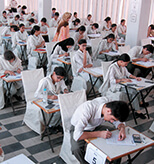 2003 1st private Examination Board. 2006 1st private hospital in Pakistan accredited by the U.S.-based Joint Commission International. 2013 1st to offer a Post-RM Bachelor of Science in Midwifery. 2015 #1-ranked Medical College by the Higher Education Commission when rankings were last released. 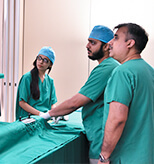 2015 1st state-of-the-art centre for simulation-based learning, the Centre for Innovation in Medical Education. 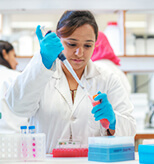 2017 1st clinical laboratory accredited by the College of American Pathologists. 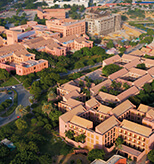 Founded by His Highness the Aga Khan, the Aga Khan University is a not-for-profit institution. 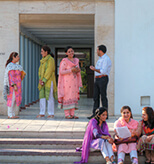 It is one of 10 agencies of the Aga Khan Development Network. © The Aga Khan University, 2018.